There are few things that beat a house drenched in the fragrance of newly baked cinnamon rolls. I can only think of one thing, and that is a house drenched in the fragrance of vegan cinnamon rolls. It sort of brings out the inner child in you. Unless you are a child, then it just brings out you. 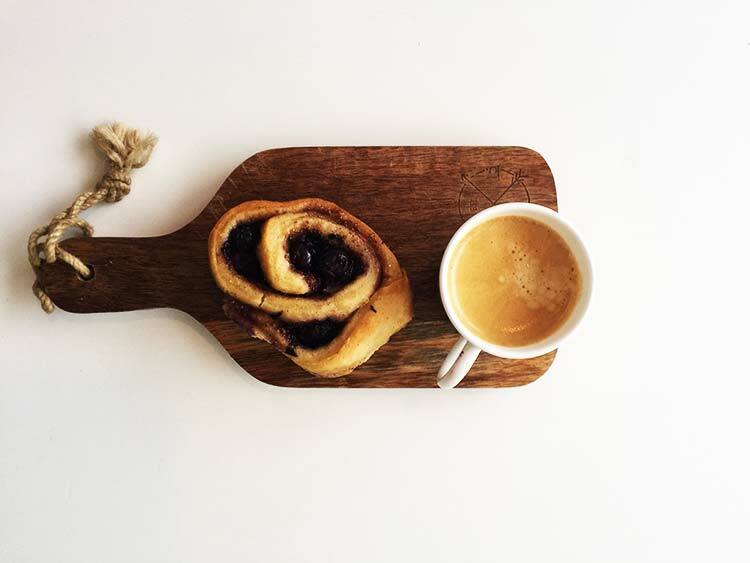 The combined smell of cardamom and cinnamon is just heaven and getting a fresh cinnamon roll from the oven where the inner part is still all warm and soft is just to die for. 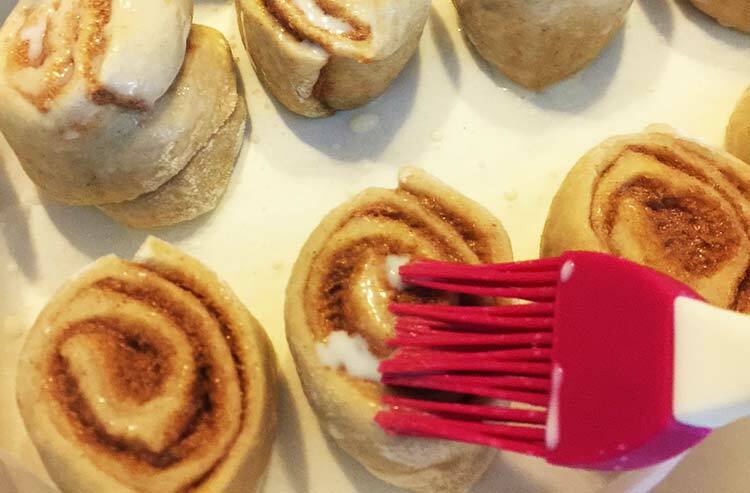 Making your cinnamon rolls vegan, or plant-based if you like, is surprisingly easy. Just as with most baking, the egg can be excluded (or replaced), and the milk is switched to soy milk or any other non-dairy option. When it comes to the filling, you have the classic cinnamon filling based out of (non-dairy) butter, sugar and cinnamon. I like this classic one, it will never go out of style and it is always pleasant to serve to your friends or family. Not to mention get one for yourself. If you would like to try though, I will show you a blueberry filling in this recipe as well. Otherwise, feel free to get creative. You can make your own filling, just use (non-dairy) butter and sugar as the base and then you can add pretty much anything you like. 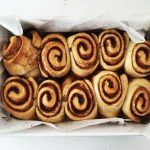 If you add the vegan cinnamon rolls to your baking routine you will have a stable go-to recipe anytime there is a need for sweet baked goods or desserts. First up you need to gather your ingredients for making the dough. Combine the flour, sugar, salt and yeast in a large bowl and stir it around with a ladle. Next up you need to bring out a saucepan and melt the non-dairy butter over low heat. When the butter has melted you pour in the soy milk (or non-dairy milk of your choice) and the cardamom and stir with a whisk. The butter and milk should be warm but not hot so if your mixture is to hot let it cool a little bit. 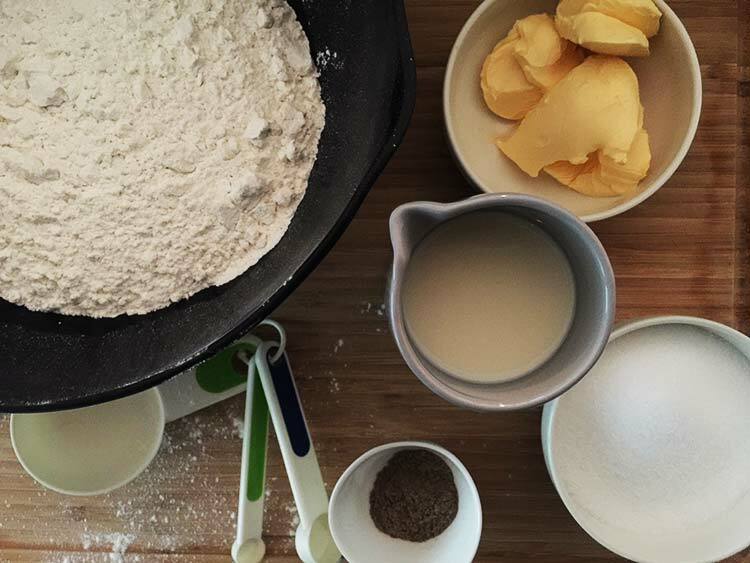 Pour the milk, butter and cardamom mixture into the flour mixture and give it a good stir with a ladle. 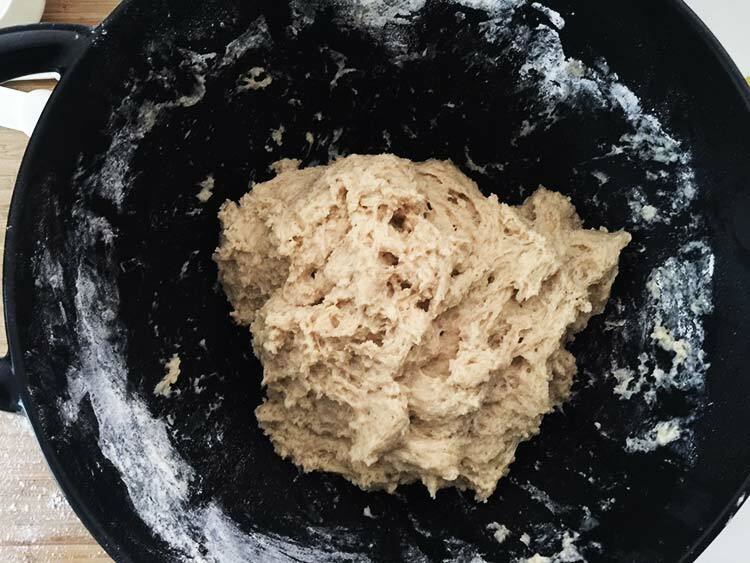 When a dough starts to form, roll up your sleeves and start kneading. The more you knead here, the fluffier the rolls are going to be. Aim for at least 10 minutes. Don’t be alarmed if you feel that the dough is a bit sticky, it should be, just knead it as good as you can. When you’re finished cover it and let the dough rise for about an hour or until it has doubled in size. Now, when waiting for the dough to rise you can prepare the fillings. In this recipe, I will show you how to make the classic cinnamon filling as well as blueberry one that I have really come to love. The process is easy, just mix the ingredients in a small bowl with a fork until everything has combined evenly. Time to make the rolls! 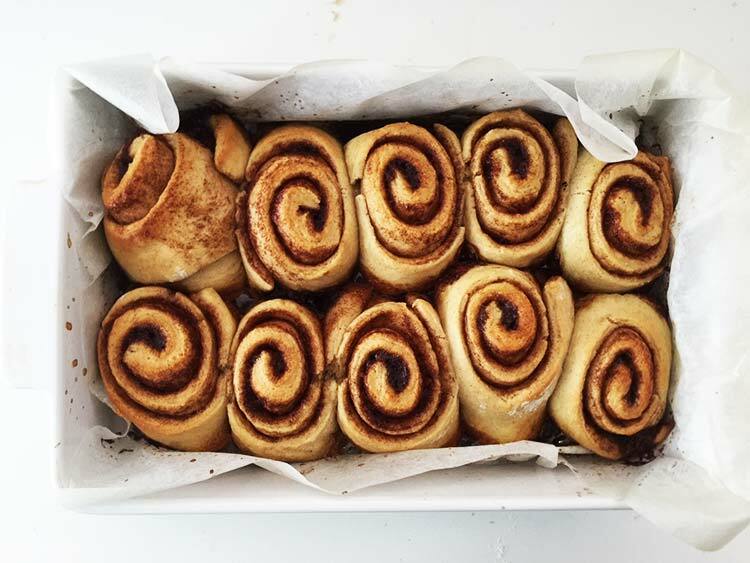 Pre-heat the oven so that you don’t have to waste any time before you can devour these vegan cinnamon rolls. Pour the dough out on a little bit of flour and turn it around but don’t knead it. Divide the dough into two parts, and bring out your rolling pin and roll the dough out into the shape of a rectangle. You can adjust the thickness of the dough to your liking. Take the filling and spread it out evenly across the dough. When you’re done and the filling is evenly spread, start rolling the dough from the long side of the dough rectangle into one large roll. With a sharp knife, cut out rolls that are about 2 cm (~1 inch) thick. Take the rolls and put them in an oven safe form that you have lined with non-stick cooking paper. Put the rolls next to each other and cover, and let them rise for another 45 minutes. After the second rise, brush the rolls with some soy milk and bake in the oven around 10-15 minutes depending on oven type. Repeat the process with the blueberry filling (or any other filling that you have made) and bake them the same way. Even though it’s hard, let the rolls cool off just for a little while before you throw yourself over them. Treat yourself to an espresso or hot beverage of choice and just enjoy! Following me on Facebook, Instagram or Pinterest to be first with the latest and sign up for the newsletter below to get updates, news and special offers. 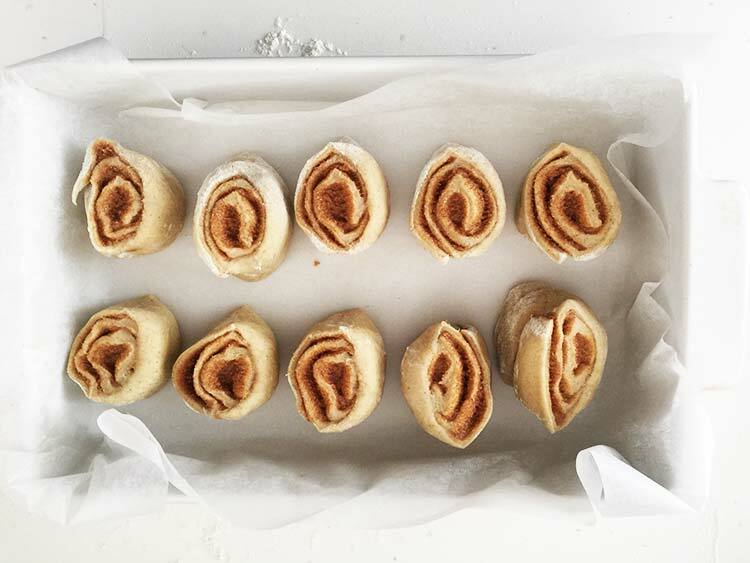 These vegan cinnamon rolls are 100% plant-based, and they are just as good (if not better!) then their non-vegan counterpart. Bake them today! Mix the flour, sugar, salt and yeast in a large bowl. Melt the butter for the dough in a saucepan over low heat. Add the soy milk and cardamom and whisk. The liquid should be warm but not hot. 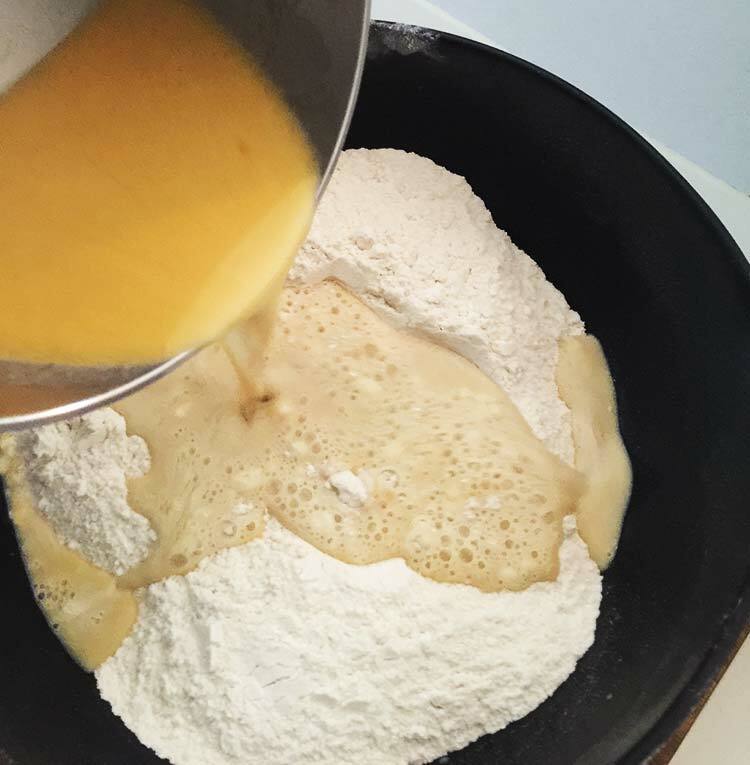 Pour the liquid into the flour mixture and mix with a ladle to create a dough. Start kneading with your hand and continue to knead for about 10 minutes. Cover the dough and let rise for an hour. In the meantime mix the ingredients for the fillings and combine them so that everything is properly mixed. Pre-heat the oven to 200 °C / 400 °F / Gas Mark 6. Pour the dough out in a lightly floured surface and turn it around without kneading it. 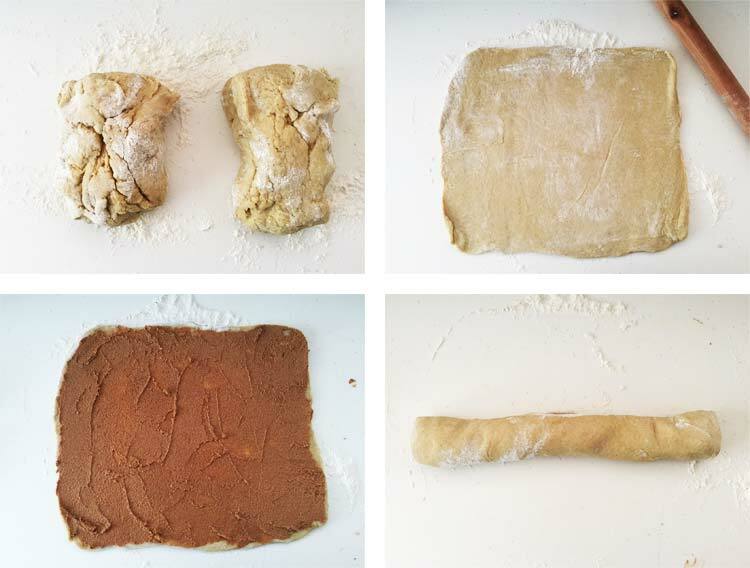 Cut the dough in half and roll each piece out into the shape of a rectangle. Spread each filling on one half each and make sure you have distributed it evenly. Then carefully roll the dough up. Take a sharp knife and cut out rolls that are about 2 cm (~ 1 inch) thick and put them in an oven safe form that you have lined with non-stick cooking paper. Cover and let rise for another 45 minutes. Brush the rolls with some soy milk and then bake them for about 10-15 minutes. They are ready when they have gotten some nice golden brown colour. Let the rolls cool off a little bit on a rack before serving.